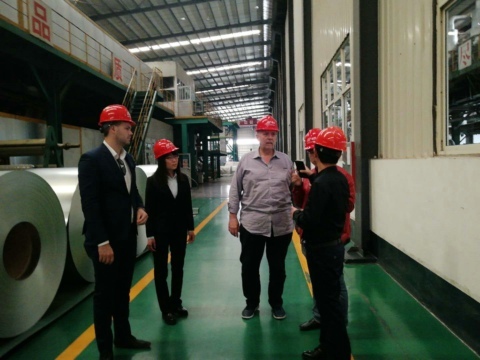 In the months prior to this visit, our Australian client has already placed a trial order, one container galvanized steel coil. Based on the satisfaction with the quality of our products, they specifically came to China to negotiate new orders. They want galvalume steel products with better corrosion resistance, which are mainly used in villa building materials, so they want to provide their customers with high quality products. 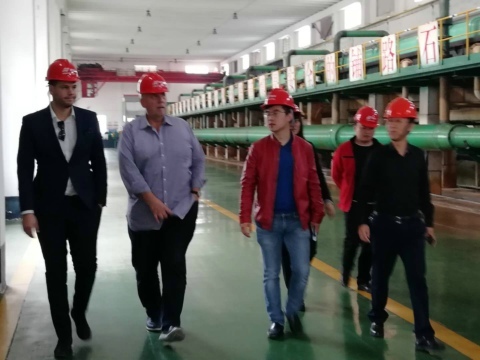 On April 25, 2018, we accompanied our customers to visit the factory. After visiting our galvanized/galvalume steel production line, our customers are very satisfied with our production environment and quality control.